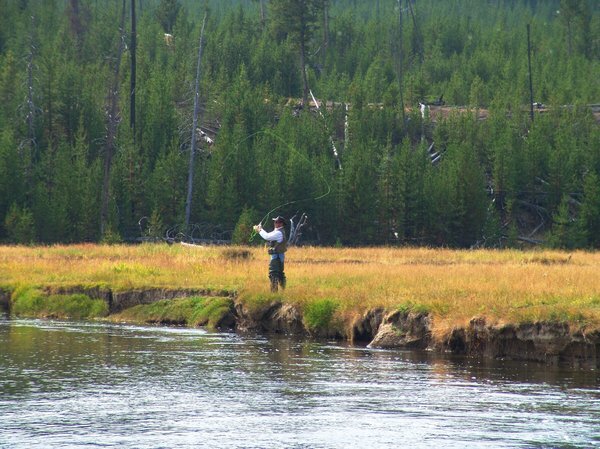 Man fly fishing on a river in Yellowstone National Park. 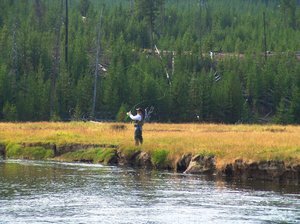 What a great fishing shot! I love it.